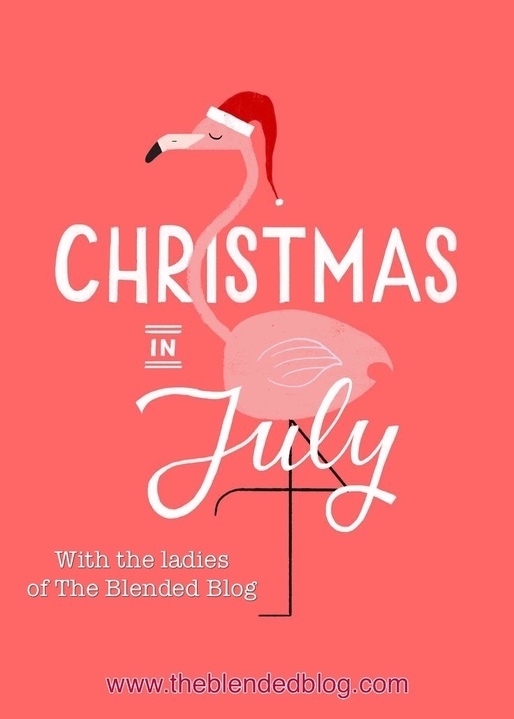 It's the most wonderful time of the year - Christmas in July! 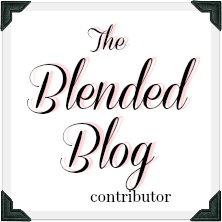 Welcome to the second annual gift exchange with my friends at The Blended Blog. We had so much fun last year, we decided to do it again. And who doesn't love peeking into other people's presents? If you're hopping over from Shaunacey's blog, welcome to my holiday home! I was so excited to get a package in the mail from Shaunacey. 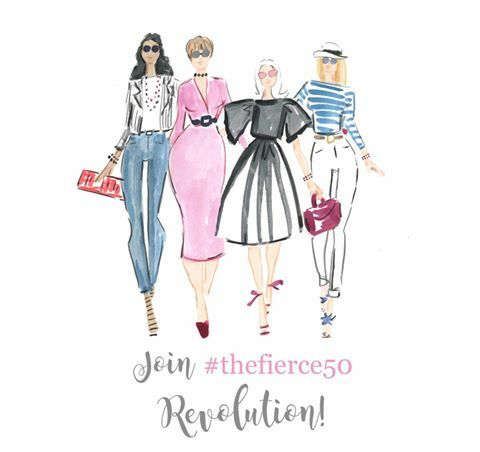 If you don't already follow her blog, get yourself over there right now. She has truly been one of the biggest blogging blessings, and I'm so thankful to have met her. She's kind, witty, smart and beautiful - and also very pregnant with her third little baby. She has a unique writing voice and I love her sense of humor. Inside was a beautiful box. Umm....sorry Sarah. My gift wrapping/presentation was not this pretty. I should have done an un-boxing sequence like a real blogger, but I'm too impatient for that. Look at all that wonderfulness! Shaunacey's sweet card was lovely, plus she included a note on each item, explaining why she chose it. Everything was perfect. A cross body is my favorite kind of bag, and I love the size and color of this one. 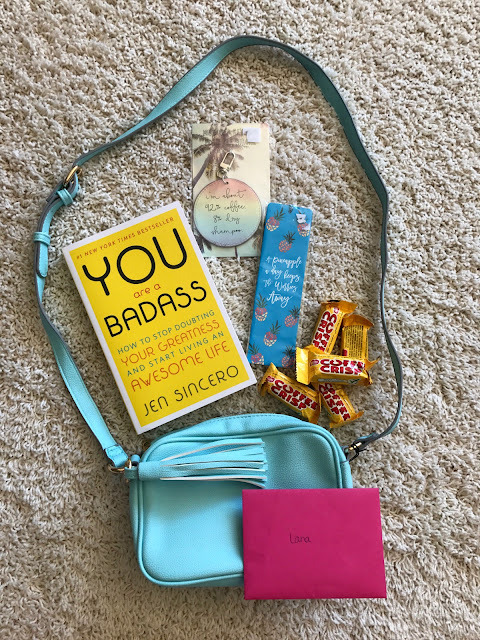 That book - I've been meaning to pick it up, because I definitely need to work on my badass self. It's coming on vacation with me next week, so you all better watch out when I get back! Coffee Crisp - WHY can't we get these in the states? Love this. I wonder if pineapples are on my new eating plan? Also love. Although it might be the opposite for me! My very favorite gift from Shaunacey. What a wonderful sentiment on this adorable bracelet. And it's my very first Stella & Dot piece! Thank you, Shaunacey, for such thoughtful gifts. I'll think of you every time I use them! Now, hop on over to Sarah's blog to see what I sent her. And Merry Christmas! Shaunacey is the greatest gift giver, she got me hooked on the coffee crisp! I adore the bracelet and the sentiment behind the sweet gifts!! I know, why won't Canada share their Coffee Crisp with us? I love that Shaunacey left a note with each gift! That bracelet is fabulous and that book sounds like a great read! I'm so excited to take the book on vacation with me next week. What a fun gift! I especially love that crossbody! It’s the perfect size and my favorite color. It's just adorable and I can't wait to use it! Wow, she really is a great gift giver...which is a gift in itself. You hit the jackpot! I love the pineapple thing!!! That is so cute!! 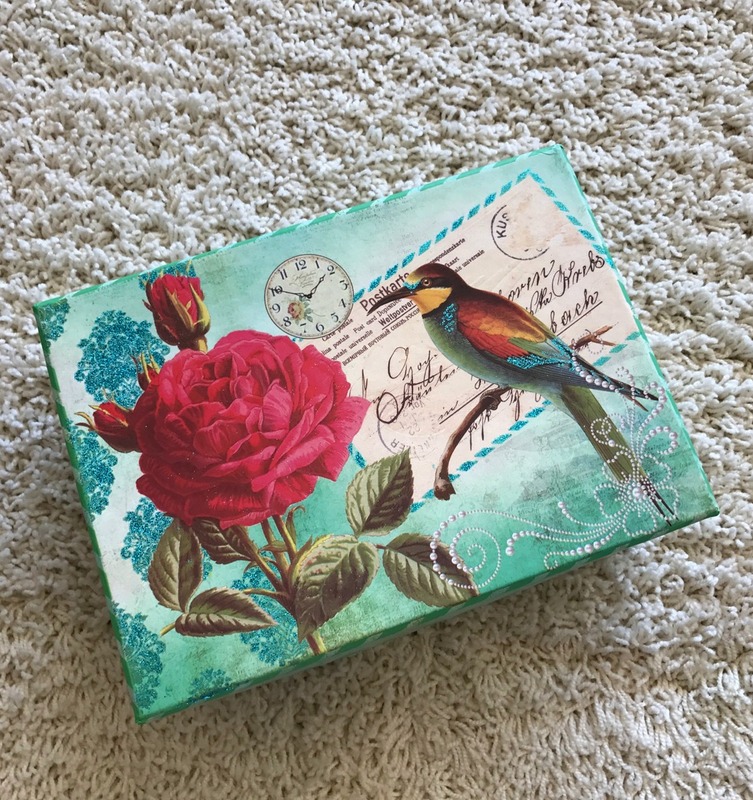 What a sweet and thoughtful box of gifts, and you are very deserving! Oh, you're sweet. Thank you! What perfect gifts for you! 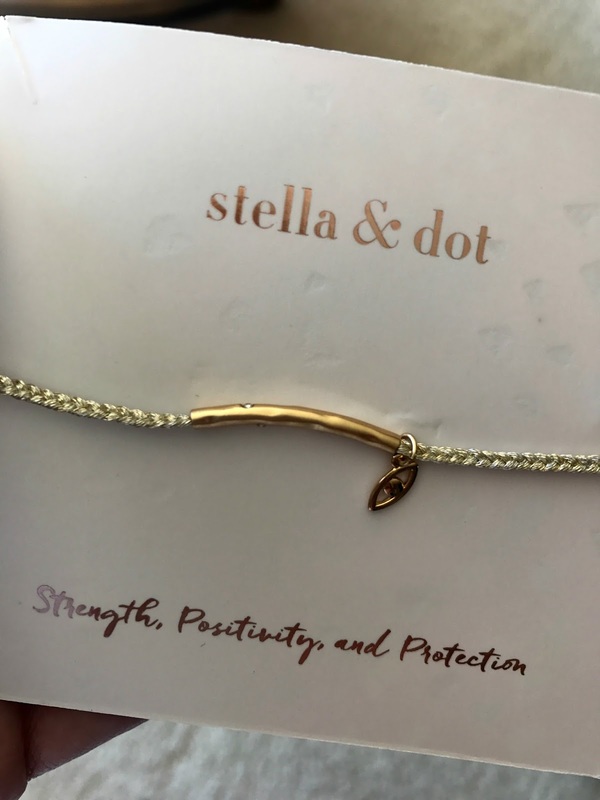 I love anything from Stella & Dot, that bracelet is so pretty on you! Thank you Carrie! I'm so excited to have my first Stella and Dot piece! I’ve been thinking a lot about Christmas because of my crafting business. its time for me to apply and create holiday crafts to keep up with the high demand. 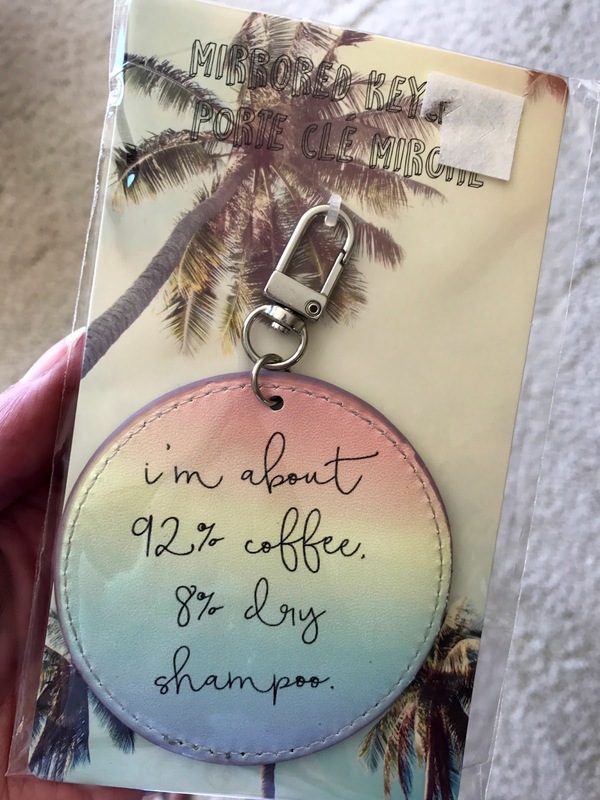 I love the blended blog gift exchange. Omg I just purchased that book and so far so great! Shaunacey’s gifts are thoughtful and sweet. It's weird to think about Christmas, but honestly, it's not that far away! I'm so looking forward to starting the book. What a great gift! 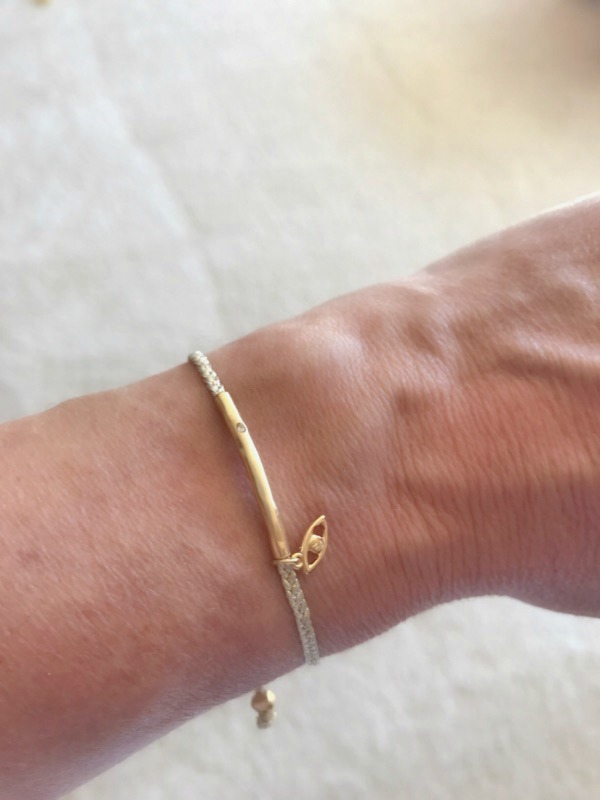 Love that bracelet, so dainty and cute! She nailed it! I love that she added a note for everything- well thunk!!! I loved all her little notes. Such thoughtfulness and attention to detail! That S&D bracelet is so sweet! And that bag! Love that color! Score! Yes, so much fun. Thank you! She definitely nailed it! You will have to let me know what you think of that book. I'm excited to start reading it. YAY!!!! I'm so glad you liked your gifts!!! I think I like giving gifts even more than getting them... is that weird? Oh, I loved everything. You, my friend, are a great gift giver :)! We set a limit last year, but this year we didn't. Although it seems like everyone was in the same ball park. She picked the perfect gifts! MMM. I want chocolate now. How fun! I love all the pieces but I think it's so sweet that each piece came with a little note, totally making it personal. You really can't get Coffee Crisp in the states? Hmmm, I guess I never looked. How sweet is this?? Happy July Christmas to you! 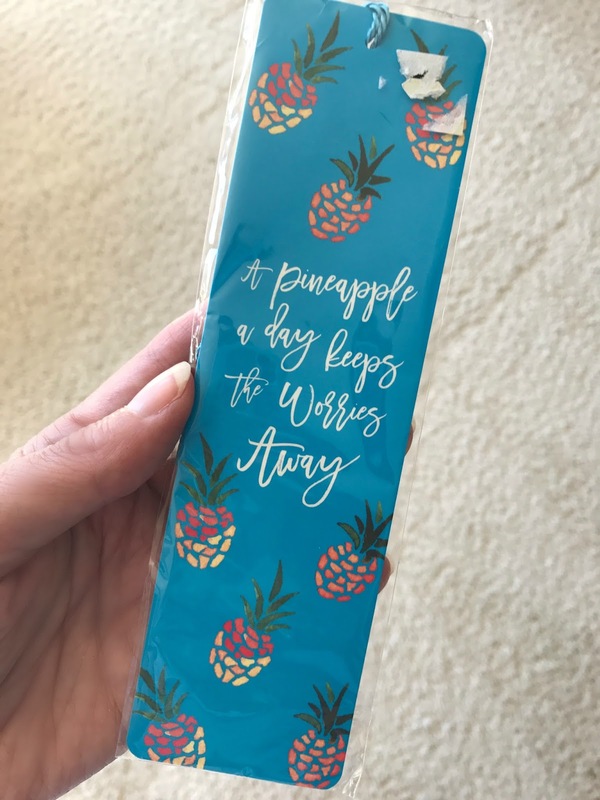 I personally want to try that pineapples a day plan..